Gennaro Gattuso has admitted that he feels a lot of pressure with AC Milan now that he has been handed the responsibility of being their head coach. The Italian was a superb servant for the Rossoneri during his playing days and he has since transformed into a top manager, who has been tasked with the role of getting the Rossoneri back to the Champions League. Speaking to UEFA.com, Gattuso said that the transition from a player to a coach has been rather demanding given they are expectations on him to succeed, he said: “I have lived many years as a player and now I am in the second season as a coach, after starting with Primavera. For me it's like being in a family, my family was a Milanese and that's why I always supported Milan. 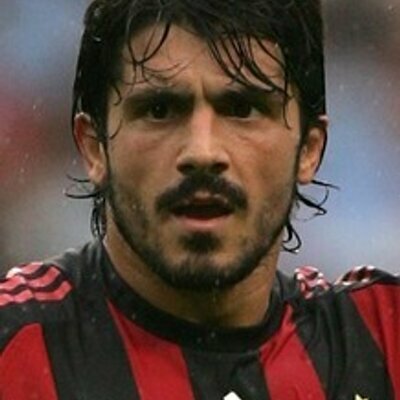 Gattuso was appointed as the permanent “head coach of Milan in November 2017 and he thereafter transformed the club’s fortunes as they propped up the table.“ As such, there were suggestions that they could push for the top-four positions during the latter stages but unfortunately, their “form could not sustain“ as they faced some of the elite clubs including Juventus and Napoli. Meanwhile, the current campaign has not gone as planned with just nine points from the opening six league games but Gattuso should be relieved by the fact that the team managed to return to winning ways during the recent game at Sassuolo. After back-to-back draws against Cagliari and Empoli, the Rossoneri looked back at their best versus Sassuolo where they secured a comfortable 4-1 triumph. They are currently four points behind the top-four positions with a game in hand.